After helping Eastern Washington finish 11-3 and set several school and Big Sky Conference scoring records, offensive tackle Jake Rodgers and wide receiver Cooper Kupp earned All-America honors Monday from the American Football Coaches Association. Rodgers and Kupp both previously earned All-America honors from College Sports Madness. Rodgers is a senior who transferred from Washington State and graduated in 2010 from Shadle Park High School. Kupp, a sophomore and a repeat selection, was the lone underclassman on the All-America team that included 19 seniors, five juniors and one sophomore. A total of 19 Eastern players have now earned 21 All-America honors from the AFCA. The Eagles broke school and Big Sky records for scoring in 2014, finishing the season with 618 points to break the previous record of 592 set last season in 15 games. 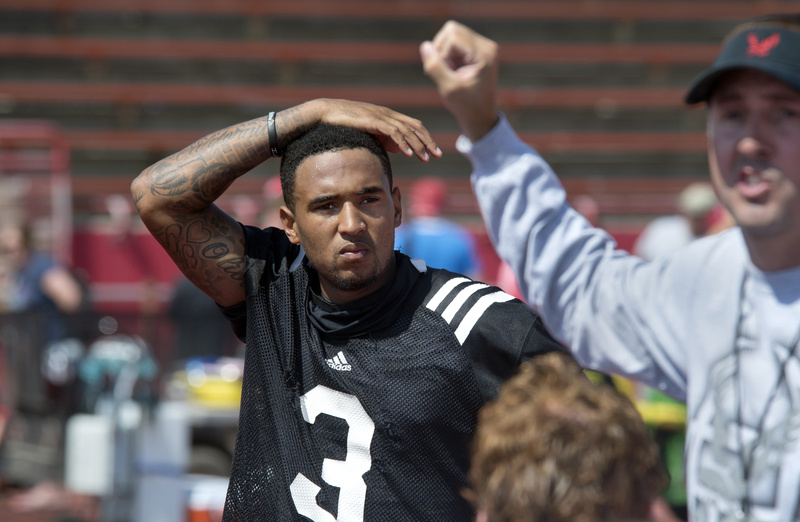 Truth be told, Vernon Adams Jr. would rather have been in Cheney on Monday, preparing for Eastern Washington’s next football game. The next best thing was the Football Championship Subdivision awards banquet in Philadelphia, where for the second year in a row Adams was the runner-up for the Walter Payton Award. “It was an awesome experience,” Adams said after being edged out by Villanova quarterback John Robertson for the award that goes to the player voted the best in the FCS. “Next year I hope to win, but I hope not to be here because we’ll preparing for a playoff game. That’s the plan,” Adams said. Adams was the frontrunner for the award until he broke his foot on Oct. 4 against Idaho State and missed four games. His per-game averages for total offensive yards (376.8), passing yards (348.3) and points responsible for (24.8) were tops in the nation, but he didn’t play enough games to officially be listed in NCAA statistics. Though not razor-thin, the voting margin was close enough that Adams’ injury probably was decisive in the balloting; Robertson received 66 first-votes and 467 votes overall, while Adams got 29 first-place votes and 383 overall. Another tipping point: Robertson led the nation with a 181.1 pass-efficiency rating, compared with Adams’ 169.2. Idaho State quarterback Justin Arias was chosen first on 22 ballots and received 220 total votes. “I wasn’t surprised because I missed those four games, but it is just an honor being here,” said Adams, who finished second last year to Eastern Illinois quarterback Jimmy Garappolo. “That just shows how good a football team we are. To have Eastern Washington represented is a blessing and I am thankful,” Adams said. Adams, whose season ended Saturday with a 59-46 playoff loss to Illinois State, also threw 35 touchdown passes, second to Arias’ 38. Adams led EWU to eight victories in the 10 games he played this season, increasing his overall record as a starter to 28-6. The Eagles finished with an 11-3 record and were Big Sky Conference champions for the third straight year. Baldwin also credited Adams’ work ethic after breaking two bones in his right foot. “He was doing everything he possibly could to put himself in a situation to get back as soon as he could. He came back a week or two earlier than most players would considering the injury,” Baldwin said. Besides Baldwin and athletic director Bill Chaves, Adams had his grandmother Olivia Adams and his aunt Viola DeShields in attendance at the banquet. Adams and Baldwin would not have made the trip across the country had the Eagles defeated Illinois State on Saturday and advanced to this week’s semifinals. The three Payton Award finalists were honored along with the winners of the Buck Buchanan Award (North Dakota State defensive end Kyle Emanuel, FCS outstanding defensive player), Jerry Rice Award (Fordham running back Chase Edmonds, FCS freshman of the year), Eddie Robinson Award (New Hampshire’s Sean McDonnell, FCS coach of the year) and Mickey Charles Award (South Dakota State running back Zach Zenner, academic achievement by an FCS student-athlete).